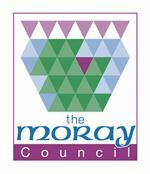 Moray Council is responsible not just for improving life in the area; we're also committed to making a real difference to the lives of those we serve at all levels. To participate in the activities of an Integrated Community Care Area Team receiving requests for and under-taking holistic assessments of client’s needs and commissioning packages of care working across professional boundaries when required. Undertake Community Care assessments when required by Team Manager or on receipt of referral from other professionals. Design and organise suitable packages of care having undertaken financial assessments and ensured that adequate resources are available in conjunction with carers, relatives and statutory and independent sector agencies. Liaise with other local authority services i.e. old age psychiatry, learning disability, mental health, partner agencies, providers and informal service users carers to seek to meet needs in the most efficient and appropriate way. Monitor and review service user needs and provision on a regular basis. Provide direct service and support to individuals and families, and their carers. Collaborate with colleagues within the Health and Social Care Teams. Participate with Team Manager in supervision, staff development and ERDP. Participate in office duty system when required. Maintain case records, both electronic and manual, provide information for performance indicators, unfulfilled procedures and statutory duties in line with national and local policy practices and procedures. Significant experience of working in a Health/Social Care setting. Relevant professional qualification in Social Work. You will be expected to travel efficiently and effectively between various work locations within Moray to meet the operational requirements of the Service. Due to the rural nature of Moray this is normally undertaken by use of a car/van. Must be able to work flexibly to meet the demands of the service. Ability to work in different offices dependent on service requirements.